Alicante passenger and car ferry ticket prices, timetables, ticket reservations and information for ferries sailing from Alicante to Alger and Oran. Compare all available Alicante ferry ticket prices in real time and book the cheapest available Alicante car and passenger ferry tickets sailing to and from Alicante, Alger and Oran with Algérie Ferries ferries online with instant confirmation. Book Alicante Ferry Tickets with Algérie Ferries for ferries sailing from Alicante to Alger and Oran online in advance to enjoy the cheapest available ferry ticket price. The price you see is the price you pay. There are no hidden extras or surprises such as added fuel surcharges or booking fees and we do not charge you anything extra for paying with a Visa Electron card. The price we quote you for your selected Alicante passenger or car ferry ticket, onboard accommodation and vehicle type is all you will pay, and that's a promise. To obtain a Alicante ferry ticket price and book your ferry ticket securely online please use the real time ferry booking form on the left. You are also able to add a hotel at your destination, or anywhere else, to your ferry ticket when completing your ferry ticket reservation. The city of Alicante is geographically located in Spain, which is situated in the southwest part of Europe. Spain is bordered by many countries such as Portugal and France, however it still has a large coastline which plays a significant role in attracting millions of tourists every year. The province of Alicante lies in the south east region of Spain and it the second largest city in the Autonomous Community of Valencia. Alicante is bordered by Valencia in the north, Murcia in the south, Albacete in the west and finally the Mediterranean Sea to the east. The city of Alicante is located on the coastline between the towns of Benidorm and Elche.The city of Alicante draws many tourists, especially from Europe, who want to explore its historical ruins, its modern facilities and glorious beaches. The land of Alicante has been inhabited for over 7000 years with the first tribes travelling from Central Europe around 5000 to 3000 B.C. Some of the tribes in Alicante settled around the slopes of mount Benacantil on which today stands the castle of Santa Barbara. The highlight of this mountain was that it was close to the sea, but yet offered security from invaders due to its height. According to some historians, the Iberians (native Spanish) secured the hilltop by fortifying it. Some group of people settled in the Benalúa area, where later on the Roman city of Lucentum was built which is the predecessor of the city of Alicante. Some settlements have also been found in Albufereta and in the Serra Grossa. The Moors (Arabs) who ruled southern Spain until 1100 AD built the present day city, under the protection of the castle. In 1246 Alfonso the 10th captured the city for the Castilian crown. Later on in 1308, Jaime II incorporated Alicante in the Kingdom of Valencia. Alicante was granted its own city charter under the reign of Ferdinand the Catholic in 1490. 100 years later it became a natural port of Castile, thus initiating the development of its sea trade. Due to peace and prosperity Alicante flourished and attained the rank of Spain's third largest trading port, exporting wine, oranges & olive oil. Today, the province of Alicante is the second largest region in the Valencian Autonomous Community. The port itself has been re-established since the industrial decline in the 1980s and has therefore become a more popular entry point into Alicante. The city’s Airport, located at El Altet, is one of the most active airports in Spain, generating as much demand as the big city airports such as Barcelona and Madrid. The airport is in expansion, and offers flights to all major cities in Spain, as well as many European cities. Alicante has a very mountainous landscape in the north and west regions although the south is fairly flat, with the Segura River flowing eastwards through the province. The province of Alicante comprises of two main areas, the Upper Marina and Lower marina. The Upper marina includes towns such as Calpe, Teulada and Javea. The Lower Marina which centres round Benidorm includes towns such as Altea and Villajoyosa. Towns in the inland area include Elche, Movelda and Aspe and the maritime towns in the southern area include Torreveija and Guardamar. The most popular beach visited by holiday makers, and frequently referred to as being one of the best beaches in Spain, is the San Juan, which is located by the city of Alicante. Alicate enjoys a mild climate all year round. The city benefits from around of 2,800 hours of sunshine with an average temperature of 19.3ºC. With fresh air and sunny days, Alicante is an ideal place to visit all year round. As it enjoys more sunshine, the number of rainy days is limited to just 20 per year. Even during the winter time the temperature does not fall below 16° C. The best time to visit Alicante is between May and October as the weather is warm and sunny. The temperature can get as high as 40°C in August so pack some extra sun lotion! Alicante has a time difference of GMT + 1 hour and GMT +2 hours during the summer. The Castle of Santa Barbara is a large fortress that was built by the Muslims in the 9th century. The Castle sits on Mount Benacantil in the centre of Alicante. It was built as a fortification. The Castle has been a witness to many battles and sieges. In the 18th century it was occasionally used as a prison. Elevators were installed in the mountain and the Castle was opened to the public in 1963. Iglesia de Santa Maria is a cathedral in a gothic style that was built in the 14th and 16th century over the remains of an old Moorish Mosque. Notable features at the church are the Rococo style altar, the heavily adorned Baroque portal and a variety or art objects dating back to the 15th century. The co- cathedral of St Nicholas is the main church is Alicante and exhibits a striking combination of baroque and renaissance features. It has a beautiful blue dome and is located in the centre of the Old Town. The church also forms the seat of the bishop. The Gravina Palace is located in the Old Town of Alicante and is home to the Gravina Museum of Fine Arts. The Palace was built between the years, 1748 to 1808. The museum is home to a rich collection of Spanish artworks. It also has an auditorium and a lounge with permanent exhibits that depict the history of the building of the Gravina Palace. San Juan is a spectacular beach located to the north of Alicante. The beach falls within the two municipalities of Alicante and El Campello. The beach is lined with restaurants, cafes and bars. This is considered to be the best beach of Alicante where one can indulge in sunbathing, swimming and adventurous water sports. Ayuntamiento is the town hall of Alicante housed in a baroque building and located right behind the La Explanada Park. The arresting features of the town hall are the long twin towers measuring up to 30m, plenary room and a chapel. The town hall also houses a statue by the famous Spanish sculptor 'Dali'. Another interesting object to be found here is an instrument that was used to measure the height above sea level. This is the oldest green park in Alicante and is home to a huge collection of rubber plants. The park was developed by architect Gonzolez Altus in the year 1886. Stone sculptures of lions and dogs, greet you at the entrance. The park is also adorned with fountains from within. Another interest is the map of Spain, carved on stone. A monument of writer Carlos Arniches can also be found within the park. The Tabarca Island is located at a distance of 11 nautical miles from Alicante. The waters surrounding the isle have been declared Mediterranean marine nature reserve. It has the distinction of being the smallest and a permanently inhabited island of Alicante. This is a perfect spot for diving and enjoying the pristine waters surrounding the island. The castle of San Fernando was built at the start of the 19th century, on the low Tossal hill. This is the smaller one of the two Alicante Castles. It forms a popular spot for sightseeing, relaxation and leisure. The Alicante Marina is a popular hotspot on Costa Blanca. It is full of entertainment with restaurants, cafes and a shopping centre. This is also the perfect destination to spend hours gazing at the luxury yachts and private boats. Best Price Guarantee - We always offer you our lowest available Algérie Ferries passenger and car ferries ticket price to and from Alicante. There are no hidden extras or surprises such as added fuel surcharges or booking fees and we also we do not charge you anything extra for paying with a Visa Electron card. The price we quote for your selected Alicante ferry ticket, onboard accommodation and vehicle type is all you will pay, and that's a promise! In the unlikely event you find the same all inclusive Alicante ferry ticket cheaper in the brochure of any other tour operator we promise that we will do our best to beat that price or offer you the choice of requesting a refund. 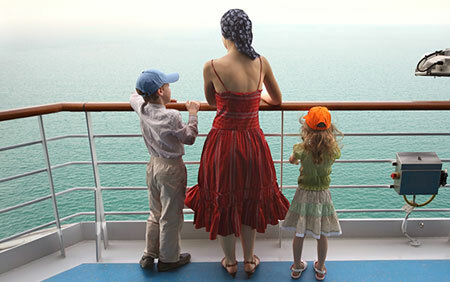 To book Alicante car and passenger ferry tickets please click here. At ferryto.co.uk you are able to obtain live Alicante ferry ticket prices, check availability and book car and passenger ferry tickets to and from Alicante at our lowest available ticket price. Ferryto.co.uk is part of the world's largest online ferry ticket distribution network providing the ability to book over 80 major European ferry operators including to Alicante and to over 1,200 other ferry routes throughout the UK, France, Spain, Ireland, Holland, Eastern Europe, the Mediterranean, the Baltic and North Africa.